Size of this preview: 765 × 599 pixels. Other resolution: 307 × 240 pixels. 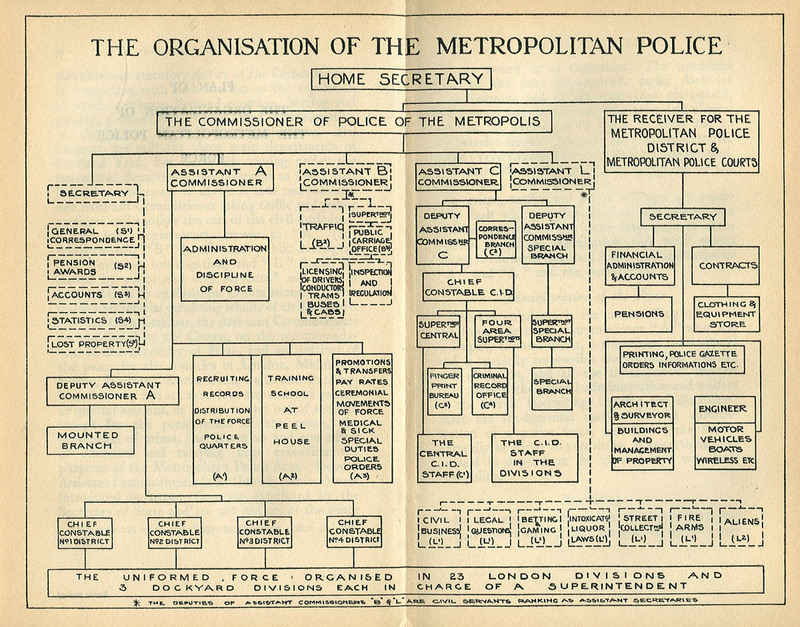 Moyle, Scotland Yard and the Metropolitan Police, published in London in 1929. UK copyright expired in 1999 (70 years); there is no record of the work's renewal in the US Copyright Office, so I believe it to be in the public domain worldwide. Any copyright on this work has expired. This applies to in the European Union, the United States, Canada, and other countries with a copyright term of life of the author plus 70 years. current 02:58, 29 April 2007 1,200 × 940 (367 KB) Russell Potter (Talk | contribs) Organizational chart of the Metropolitan Police, from Moyle, ''Scotland Yard and the Metropolitan Police'', published in London in 1929. 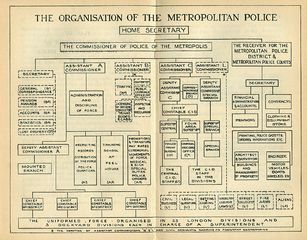 UK copyright expired in 1999 (70 years); there is no record of the work's renewal in the US Copyright Office, so I believe it to be in the public domain worldwide. This page was last modified 08:46, 22 June 2009.